Although this is only my second year coming to RMBL, this spring sure feels different. The big dust storm that blew in a few weeks ago left this crazy red layer all over the valley. 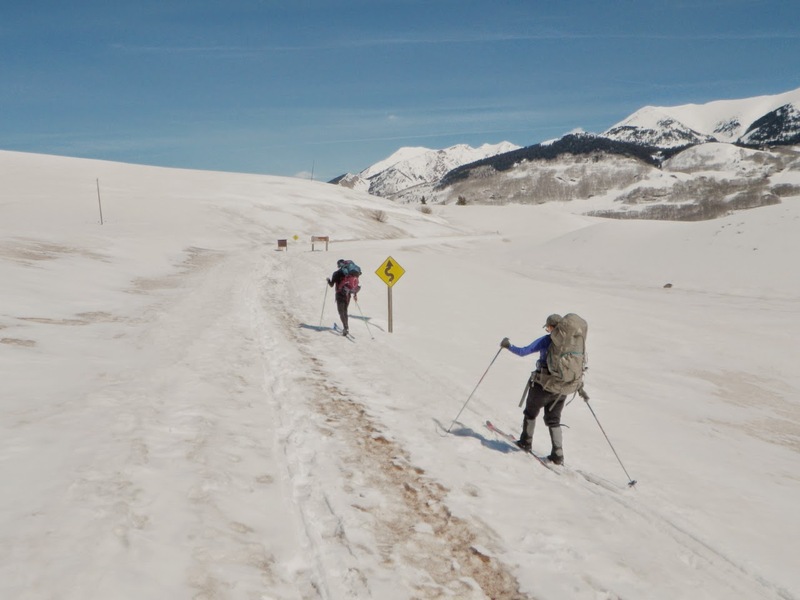 It looks kinda cool because it contours the hills in nice patterns but it is not cool for skiing in to the research station! Skiing over it essentially feels like you hit the emergency brake, so here we are actively avoiding it on the road in to RMBL. We're still waiting to see how the long winter, dirt layer and now warm, rainy days (!) affect our marmot population. So far, a few animals are out and about, but it seems like most are still hunkered down in burrows. 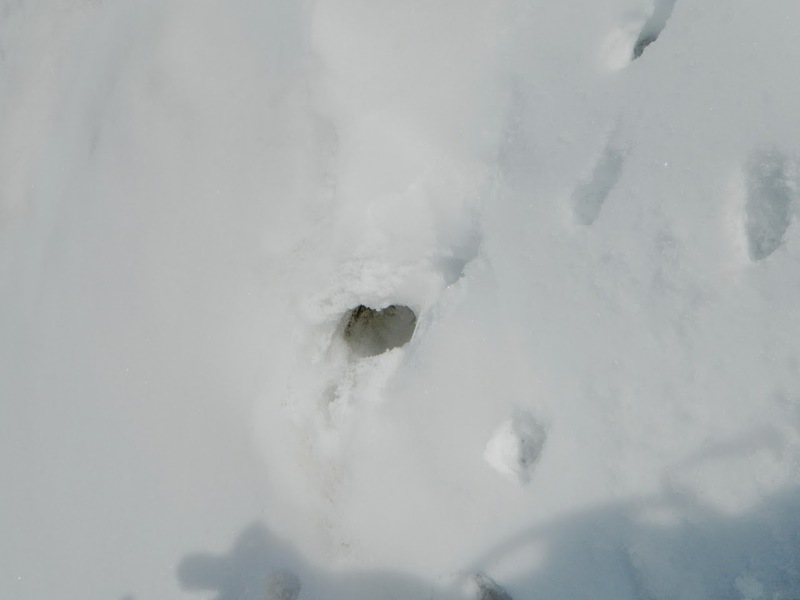 Where we don't see marmots, we have seen a few open burrows like the picture below. Since there are no tracks around these holes, it appears that a marmot popped out, had a look around, and decided to go back into torpor. Although it doesn't look like much, these are the kinds of things that us marmoteers get excited about in the early season. So for now, we are keeping busy catching up on data analysis, shoveling snow to get into cabins, and re-learning how to ski. More updates will come as the marmots start showing their faces, errr...their backs, since all we really care about are their marks.